DUBLIN - Sept. 28, 2016 - Medtronic plc (NYSE:MDT), the global leader in medical technology, today announced it has received U.S. Food and Drug Administration (FDA) approval of its MiniMed® 670G system - the first Hybrid Closed Loop insulin delivery system approved anywhere in the world. Featuring the company's most advanced algorithm - SmartGuard(TM) HCL - the system is the latest innovation in Medtronic's phased approach toward developing a fully automated, closed loop system. Medtronic is committed to simplifying and improving diabetes management through the advancement of smart algorithms that achieve greater glucose control with reduced patient input. Through SmartGuard HCL, the system builds on Medtronic's industry leading algorithms to offer therapy customization so patients and providers can choose from increasing levels of automation that best fit their diabetes management needs. "With SmartGuard HCL, the ability to automate basal insulin dosing 24 hours a day is a much-anticipated advancement in the diabetes community for the profound impact it may have on managing diabetes - particularly for minimizing glucose variability and maximizing time in the target range," said Richard M. Bergenstal, M.D., principal investigator of the pivotal study and executive director of the Park Nicollet International Diabetes Center in Minneapolis. "The data from the pivotal trial were compelling and I am confident that this therapy will be well-received by both the clinical and patient community." "This significant milestone represents an important step forward in the management of type 1 diabetes and will improve the quality of life for those living with this chronic disease," said Derek Rapp, president and CEO of JDRF, the leading global organization funding type 1 diabetes research. "We are very encouraged by the speed in which this groundbreaking technology was approved by the FDA, and we are proud of the role JDRF played in achieving this exciting breakthrough. Medtronic and JDRF are committed to ensuring appropriate patient access to this therapy." The MiniMed 670G system features the Guardian® Sensor, Medtronic's newest and most advanced glucose sensor with enhanced accuracy and performance, and a longer 7-day life. The Guardian Sensor, the first and only sensor approved by the FDA to control a hybrid closed loop system, incorporates diagnostic technology that continuously monitors sensor health. Driven by the SmartGuard HCL, the system delivers a variable rate of insulin 24 hours a day based on the personalized needs of the patient, maximizing the time glucose levels are within the target range. It is designed to learn what an individual's insulin needs are and to take action to minimize both high and low glucose levels. As a result, the system requires minimal input - patients only need to enter mealtime carbohydrates, accept bolus correction recommendations, and periodically calibrate the sensor. "The FDA approval of the world's first hybrid closed loop system is a culmination of many years of hard work and close collaboration with the clinical and patient communities to generate the body of evidence needed to advance this technology for those living with diabetes," said Francine Kaufman, M.D., chief medical officer of the Diabetes Group at Medtronic. "We appreciate the unprecedented speed by which the agency approved our PMA submission to help bring this advanced insulin pump therapy so quickly to U.S. patients living with this challenging disease. We are committed to preparing for commercial launch as quickly as possible while ensuring we provide the most successful rollout of this novel therapy." The system is approved for the treatment of people with type 1 diabetes fourteen years of age and older with ongoing studies to expand the indication to additional patient populations. Medtronic will begin commercial release of the MiniMed 670G system in the spring of 2017 with system availability increasing over time. This timeline ensures payer coverage, market and manufacturing readiness, as well as appropriate training of employees, clinicians, educators and patients on the new system. As the company moves toward initial commercial release and subsequently to full production, users of the MiniMed 630G system will be eligible for a Priority Access Program to the MiniMed 670G system as their experience with our newest hardware platform will facilitate an optimal transition. Regulatory approval of the MiniMed 670G is expected outside of the U.S. in the summer of 2017. 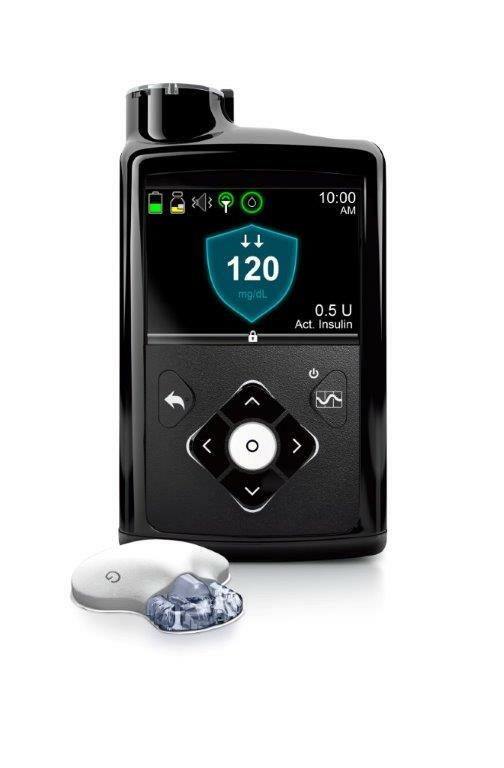 More details can be found at http://www.medtronicdiabetes.com/products/priority-access.